An Oakland man was arrested Wednesday on suspicion of peeping into a Berkeley woman's home after he was captured on surveillance video and then caught near the scene, Berkeley police said. Pedro Jacobo 55, was a booked on suspicion of prowling and theft after he was reported on the victim's property in the 1300 block of Delaware Street on Wednesday morning, police said. The victim had surveillance cameras installed after a March 3 peeping incident, and the devices captured him peeping through her windows Monday. Then on Wednesday morning, the victim called Berkeley police to report a person in her yard. Officers flooded the area and spotted the suspect in a yard on Acton Street, near the victim’s home, and took him into custody, police said. 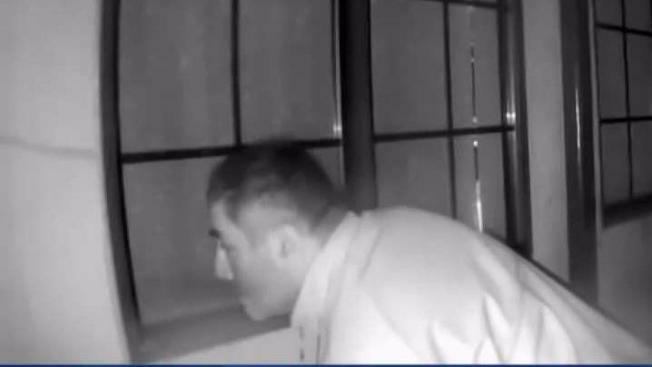 The woman's surveillance video shows the suspect peering into the home's bedroom windows, and before the suspect leaves the yard, he discovers one of the cameras and moves it in an attempt to avoid detection. He later physically removed the same camera before he fled the yard, police said.